Your anniversary is the time for you to reflect on your love over the years. It is a time for you to celebrate your commitment to each other as a couple and the memories you have made. Not only is your anniversary a time to remember, but a time to make new memories as well. The best way to make memories on your anniversary is a vacation as a couple. Your anniversary / honeymoon vacation should be customized to you. It should include the activities and relaxation you deserve. Cabo is the perfect destination for any couple looking to celebrate. There are several things that make Cabo special, however a few stand above the rest to make Cabo one of the most romantic places on Earth. 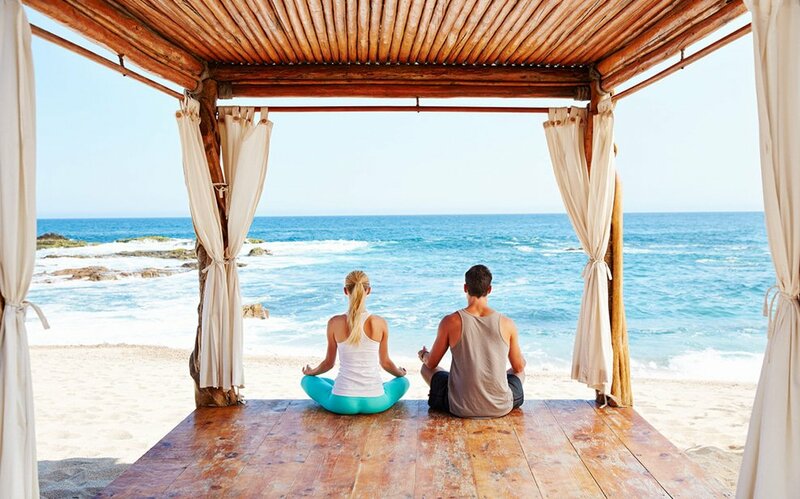 Here are a few recommendations for romantic anniversary vacations in Cabo. All Cabo vacations have to include watching the sunset. Pamilla Beach offers stunning and picturesque views of the golden sun disappearing before your eyes. It is a quiet and serene setting, perfect for couples looking for the feeling of being alone. A luxury sunset jazz and wine cruise takes you on a sunset tour unique to Cabo. Sail past Lover’s Beach and Land’s End before moving into the Pacific Ocean and feeling like you could touch the sun. Fewer experiences more romantic exist. Private sailing trips and yacht rentals come with a specialized crew, dedicated to giving you the perfect day at sea. 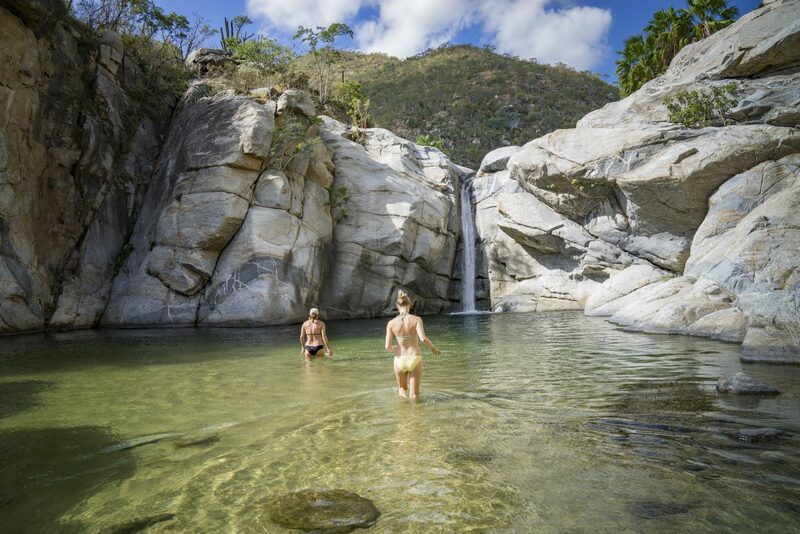 Whether you want your boat to take you to the best snorkeling spots in Cabo or drop you off at the beach for a relaxing day, your customized excursion will exceed your expectations. Perfect for couples looking for day truly about them. Romance can also be found away from the beach and water. Downtown Cabo has a rich Mexican history. The Art Walk takes you on a tour of up to 16 galleries and ceramic studios. Throughout your tour, you will have a chance to speak with gallery owners and artists. Unique to your romantic vacation is the chance to paint a ceramic tile, a token from your trip to take home with you. After the Art Walk, head over to Tropicana Inn, a local favorite featuring food, live music and dancing. Award-winning chefs prepare your meal, ensuring quality fresh seafood. After you eat, put on your boogie shoes as the two of you turn up the heat Salsa dancing as local favorite Rosalia sings in the background. Unique and exclusive to couples vacationing in Cabo is the wine spa at Fiesta Americana Cabo Resort. This spa is only one of seven in the world using wine treatment to relax your soul and replenish your pores. Fine grapes grown in Cabo give you the ultimate form of relaxation, using the latest developments in cosmetology. This incredible spa experience is perfect for couples looking for some downtime together. Celebrate your anniversary with a romantic Cabo vacation. You will be talking about this vacation for many more anniversaries to come. Contact LuxLife Vacations today to customize your vacation to include the perfect activities for you as a couple.